Struggling smartphone maker BlackBerry is exploring ways to keep itself afloat -- including the possibility of selling off the company. BlackBerry (BBRY) said Monday that its board of directors have formed a special committee to look into "strategic alternatives" that would boost sales of smartphones on its new BlackBerry 10 operating system. In addition to a sale of the company, BlackBerry said it would also consider joint ventures, partnerships and other options. BlackBerry announced its largest shareholder, Fairfax Financial chief Prem Watsa, will step down from the board to avoid "potential conflicts" but will retain his investment in the company. Shares of BlackBerry rose 5% on Monday. 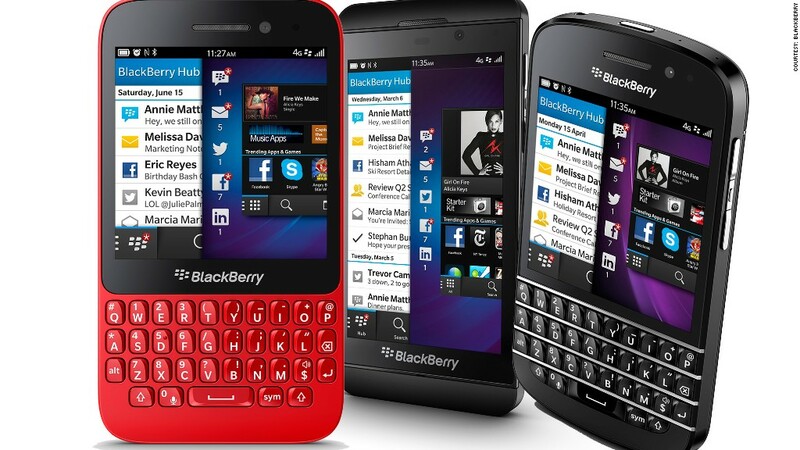 Given BlackBerry's long-running struggles, news of a possible sell-off hardly comes as a surprise. The company finally released its delayed Blackberry 10 operating system in January, but sales of the first phones on the platform have disappointed. BlackBerry shipped just 2.7 million phones running its new operating system during the quarter that ended June 1, and the company also logged a surprise loss. Still, BlackBerry does possess assets that could make it attractive to a potential buyer or partner. Perhaps most importantly, BlackBerry owns a trove of lucrative patents. That's a massive advantage in the competitive and highly litigious world of smartphones, and it could be attractive to a big rival like Microsoft (MSFT), Apple (AAPL) or Samsung. And while BlackBerry's name may not impress consumers, the company's reputation for strong security solutions remains intact. BlackBerry has used that rare spot of strength to launch several enterprise software solutions, including a new security platform for iOS and Android. Experts predict that BlackBerry will have a tough time finding a buyer for the entire company, as no suitor is likely to be interested in the hardware business. Sale of the patent portfolio, for example, or licensing BlackBerry software may be a better option. S&P Capital IQ analyst James Moorman said he believes "either selling the company, or parts of the company, is the right strategic move at this time." He warned, however, that "it will take some time for the process to play out." If the process is indeed drawn out, BlackBerry at least has money to burn: At the end of last quarter, the company had $3.1 billion in cash on hand.